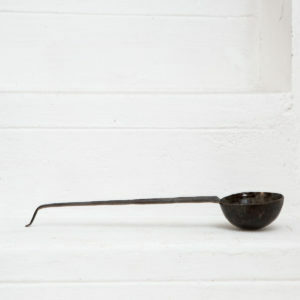 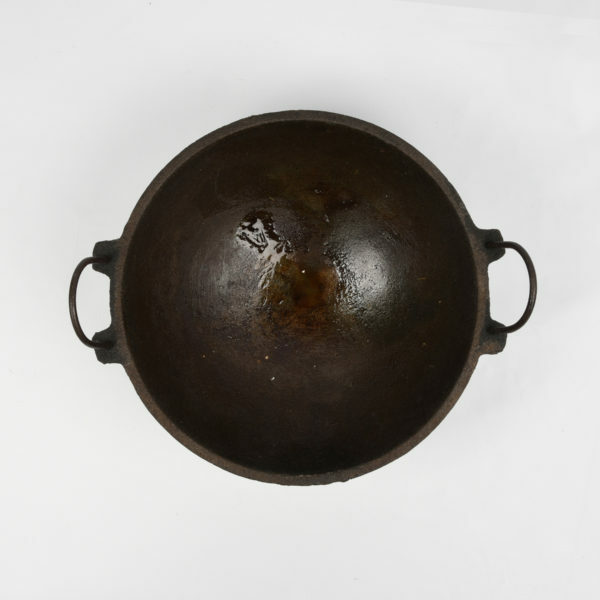 This Kadai is made of cast iron, an alloy made up of iron, silica, and carbon, with iron being the dominant constituent at 97%. Cast Iron adds very similar quantities of trace iron into the food cooked on them. 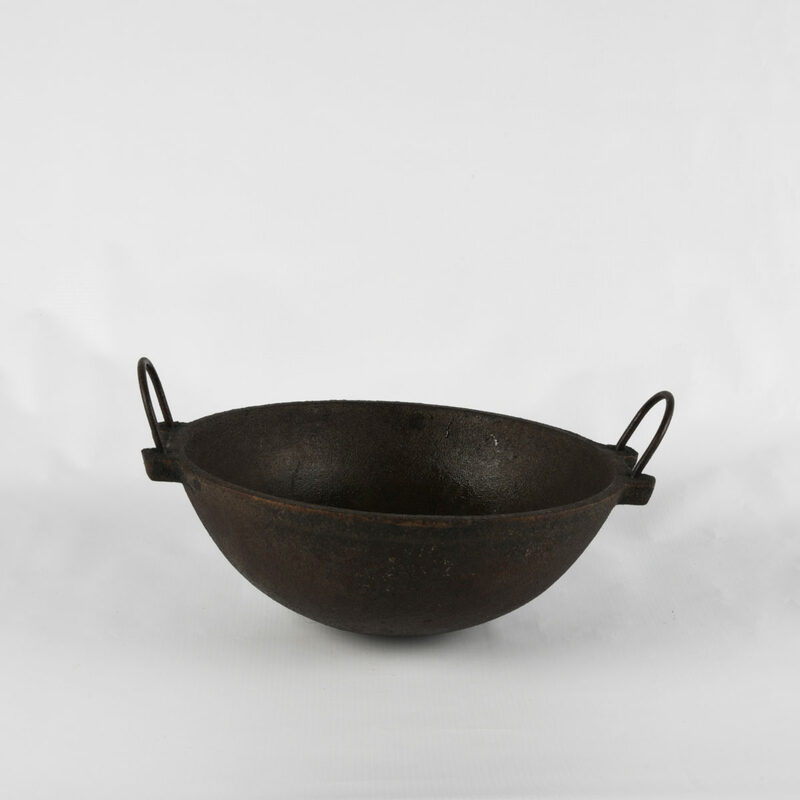 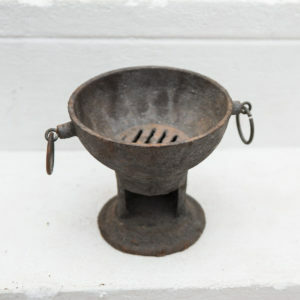 The Cast Iron Kadai is a classic Kadai that can be used for deep frying, roasting, making wet gravies etc. 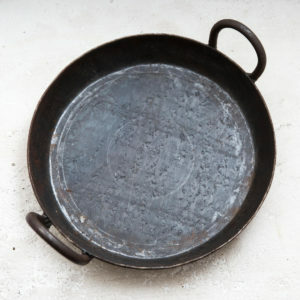 Perfectly seasoned and ready to use.